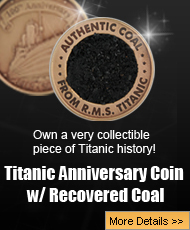 When the RMS Titanic struck an iceberg in the North Atlantic on the night of April 14th, 1912 and sank out of sight in the early hours of the following morning, only about 700 of the over 2,200 people on board made it to the ship’s lifeboats. Just over 1,500 passengers were killed from falls, other accidents related to the ship breaking up, and, most commonly, from succumbing to the sea’s frigid waters. While some bodies were recovered and buried in the Halifax Cemetery, Nova Scotia, many were never identified or lost, and their stories are some of the most heartbreaking aspects of Titanic’s tragic legacy. After the Carpathia arrived around dawn of April 15th to pick up those who had survived, the sea was thick with debris and the bodies of those who had not survived. However, it was not Carpathia’s duty to recover any bodies, and actual recovery efforts did not begin until April 20th. 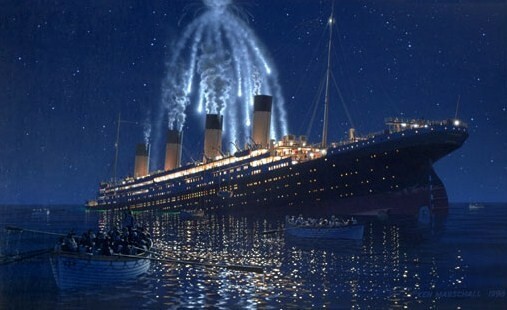 The White Star Line, which had owned Titanic, chartered several ships to spearhead the recovery efforts. These ships, the Mackay-Bennett, the CS Minia, the CGS Montmagny, and the SS Algerine, all headed out to the wreckage site armed with coffins, embalming fluid, and other equipment that would be needed to prepare the bodies. When the ships arrived at the site, they were met by debris and bodies spread over a wide area. They began to gather the corpses, most of which were frozen. Sadly, out of the 51 bodies that were recovered on this first day, 24 were so badly mutilated that the crew of the Mackay-Bennett buried them at sea. Because all four of the ships carried ice stores to handle the bodies that were identifiable, many could be returned to Halifax for burial. In all, the four ships recovered 328 bodies, buried 119 at sea, and brought back 209 for burial in Nova Scotia or to be claimed by relatives. 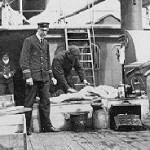 Sadly, over 50 identifiable bodies were buried at sea by the crew of the Mackay-Bennett due to a shortage of embalming fluids; most of these were third-class passengers. While some rich and notable passengers and crew who died were recovered and identified, such as John Jacob Astor IV, others were never found, and their final moments remain a mystery. The most famous of the lost crew is the captain himself, E.J. Smith, and there are several different accounts of how he died. One crewman told the tale of watching Smith being carried away by ocean’s currents, while others say he rescued a child, carrying through the frigid waters to a lifeboat before removing his lifebelt and vanishing beneath the waves. No matter his ultimate fate, it is likely Smith died in the water. 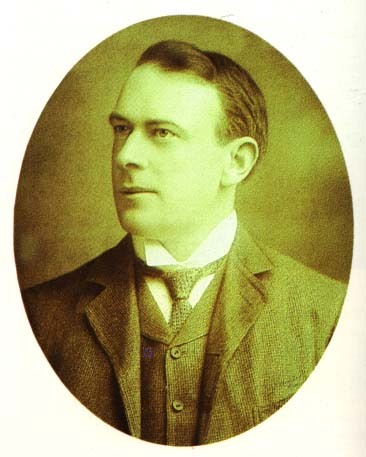 Another notable passenger whose fate will forever lie beneath the waters of the North Atlantic is Thomas Andrews, one of Titanic’s principal designers. When the ship struck the iceberg and began to sink, it is said that he understood her fate and began to encourage people to get to the lifeboats as soon as possible. It is possible that Andrew’s actions saved those who first left the ship. Unlike Bruce Ismay, who found his way to a lifeboat and escaped the sinking of the ship he helped design, Andrews stayed aboard. He was last seen in the first-class smoking room, and most believe that is where he stayed until Titanic went under. 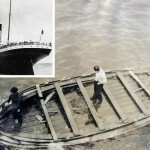 As April wore into May and many in Southampton and the surrounding areas still lay under the heavy pall of the Titanic tragedy, the crew of the RMS Oceanic made a grisly discovery over 200 miles away from where the RMS Titanic sank. 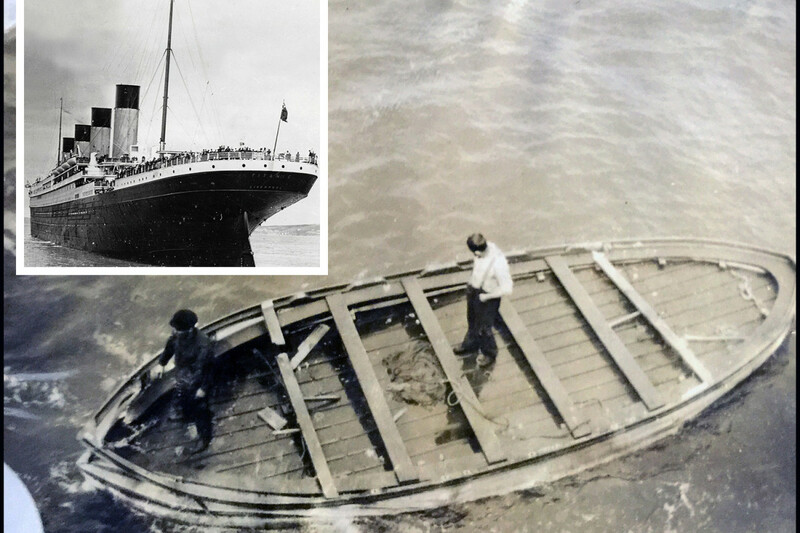 A lifeboat, discovered to be Collapsible A and the last launched from the foundering Titanic, drifted with a grisly cargo of three decomposed corpses. Two of the dead were firemen, but the third was dressed in a dinner jacket. 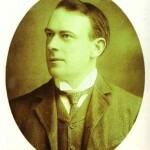 This man was later identified as Thomson Beattie, a first-class passenger. Evidence of other passengers were present in the boat, including wedding rings, but they may have died that same night and were dumped overboard to lighten the load. 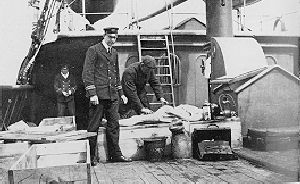 Some were rescued by another lifeboat, and it is believed that Beattie and the firemen were already dead when the lifeboat drifted away. All three bodies were buried at sea and were the last victims to be recovered. 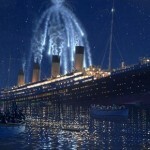 The tragedy of the RMS Titanic endures this day partly due to the sad tales of the dead. Some were claimed permanently by the North Atlantic, but their voices continue to echo and remind all who read about them of the fragility of life and the inevitably of death.